Time is precious, as is the human life. Head and neck cancer (HNC) is a fatal disease and if not managed promptly, can lead to disastrous outcomes. A contemporary review published in Cancers of the Head and Neck, discusses the importance of overall radiation treatment time in the management of head and neck cancers and addresses implications of delays in treatment outcomes, barriers to shorter treatment times and strategies to mitigate these problems. 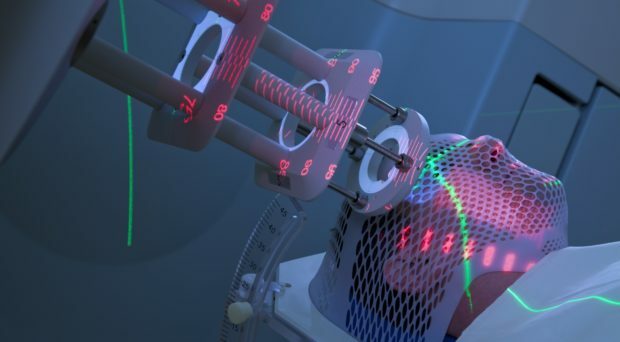 Timing is everything in treating head & neck cancers and every day counts, whether it is the time from symptom development to diagnosis, from diagnosis to initiation of radiation treatment, or from start date of radiotherapy to completion of radiation treatment. Radiation treatment either alone or in combination with chemotherapy plays a pivotal role in the management of head and neck cancers. By avoiding the delays in diagnosis to final execution of radiation therapy, we can increase the control rate and survival for these patients. There is sufficient evidence to prove that tumor burden is increased and prognosis is worsened by increasing the time to initiate treatment. Unfortunately, this effect is more pronounced in patients with an early stage cancer because of nodal disease upstaging during the waiting days. Prolonged radiation treatment time is associated with worse survival in patients receiving radiation therapy for HNC, even in the setting of combining chemotherapy with radiation. Prolonged time to treatment initiation (TTI) of greater than 46 to 52 days is independently associated with worse mortality (Figure 1). In a study from the Netherlands, where waiting time for patients with HNC was reduced anywhere from 5 to 22 days by taking a biopsy under local anesthesia instead of general anesthesia and combining CT and PET scans for diagnosis and radiotherapy purposes, the quality-adjusted life-years increased from 0.13 to 0.66. When individual net monetary benefits were extrapolated to an organizational and national level, it was observed that healthcare payers benefited €14.1 million and €91.5 million respectively, thus reducing the overall cost. Several factors are implicated in delaying treatment initiation that can be either healthcare system associated, or patient-related. Healthcare related factors include advancement in diagnostic modalities, transfer of patient to academic healthcare centers accompanied by delayed referrals and long-awaited appointments, advancement in radiation treatment modalities (Intensity modulated radiation treatment takes longer than conventional 3-D planning), treatment with concurrent chemoradiation and delay in diagnosis and referral. Patient-related aspects include stage of the cancer, delayed reporting time and socioeconomic factors. Academic institutions had significantly higher median TTI (28 days), compared with community programs (22 to 23 days), probably because of patients transitioning care, which is an independently associated factor in higher TTI. However, despite higher median TTI, academic institutions were associated with improved overall survival, compared with community hospitals, as were care transitions. There are ways to improve the delays in radiation treatment initiation, execution and completion. A paradigm exists to shorten TTI; when the Danish health system reported TTI for head and neck cancers greater than that in the United States, a bundled multidisciplinary approach to diagnosis, evaluation, and treatment was introduced. Such an undertaking requires considerable coordination among providers, and it mandates expedited appointments for patients with a new cancer diagnosis. An efficient transition of care along with access of cancer care modalities to community healthcare centers not only improves the quality of care in secondary healthcare centers, but also helps decrease the patient burden in tertiary centers. A quick and well-structured multidisciplinary appointment program is fundamental in shortening the time required for patient referrals, thus increasing the optimal survival time for HNC patients with early initiation of treatment. Recently piloted programs offering next-day appointments with cancer specialists is an appropriate step to address this reversible predictor of mortality and may partially alleviate increasing waiting times. Dr. Mohsin Fareed is a Clinical Fellow in Radiation Oncology at Dana-Farber / Brigham and Women’s Cancer Center, Harvard Medical School. His research focuses on supportive and palliative radiation oncology care and techniques across spectrum of advanced malignancies including head & neck cancers, vertebral metastases and role of stereotactic body radiation therapy (SRT/SBRT) in management of oligometastatic spinal and bony disease. He is particularly interested in studying interaction of palliative radiation therapy with modern day immunotherapy. Dr. Thomas Galloway is an Associate Professor of Radiation Oncology and Chief, Division of Head and Neck Radiation Oncology at Fox Chase Cancer Center. He is the Medical Director of Clinical Research at Radiation Oncology Department, Fox Chase Cancer Center. His research interests include Head and Neck cancer, Head and Neck cancer survivorship, Skin Cancer (both melanoma and non-melanoma), Merkel Cell Carcinoma, Radiation target delineation, Pre-treatment imaging evaluation beyond the diagnosis and impact of time to treatment in the curative management of head and neck cancer.